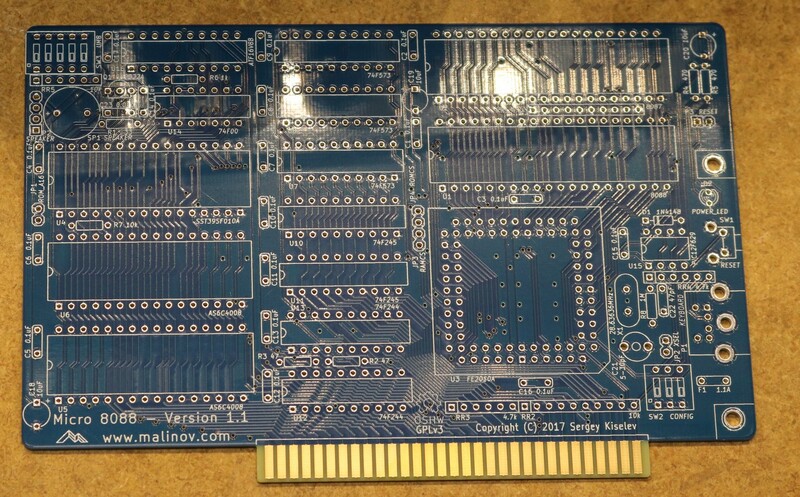 Previously I’ve built the RC-2014, Zeta 2, and Xi 8088, so when this new Micro 8088 design form Sergey Kiselev became available, I jumped at the chance to build this one too. In function, the Micro 8088 shares a lot with the Xi 8088, but in design it’s completely different. 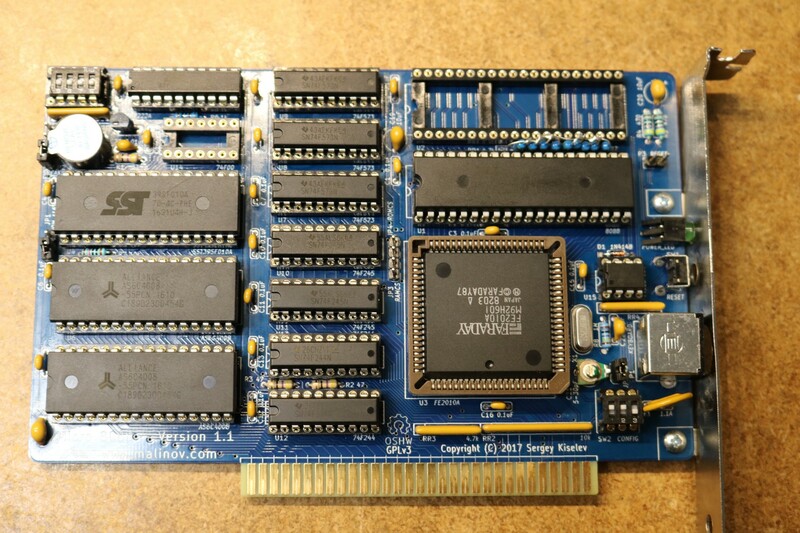 Whereas the Xi 8088 used many separate vintage ICs (DMA controller, Interrupt Controllers, timers, etc) as well as the associated glue logic, the Micro 8088 combines many of these individual components into a single large peripheral controller chip, the FE2010A. The resulting design is much simpler as well as in my opinion more stable and repeatable due to the reduction of variability. 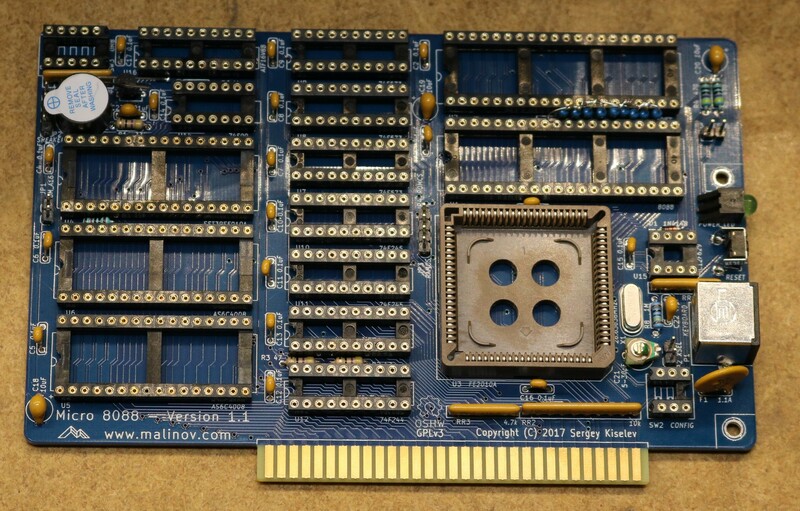 For more about the Micro 8088, consult Sergey’s github repository at https://github.com/skiselev/micro_8088.